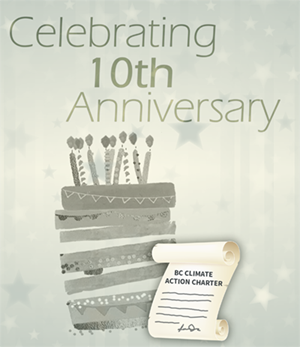 This year marks the 10th anniversary of BC Climate Action Charter. Since 2007, 187 local governments in BC have signed the Charter and have committed to take actions to become carbon neutral in their corporate operations and reduce community-wide emissions. Local governments from across BC that signed the Charter continue to reduce GHG emissions and take actions to make their communities more complete, compact and energy efficient. The joint Provincial – UBCM Green Communities Committee (GCC) has been working with local governments and assisting them in achieving these goals, including developing a common approach for carbon neutrality. 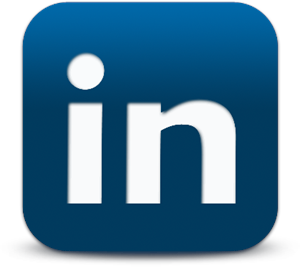 Planning on attending the UBCM Convention this year? Come talk to us about climate action in your community and learn what others are doing to reduce their emissions and make BC a great place to live. You will find our table in the conference registration area. While at the Convention, don’t miss the recognition of this year’s winners of the Community Excellence Awards and the Climate & Energy Award. 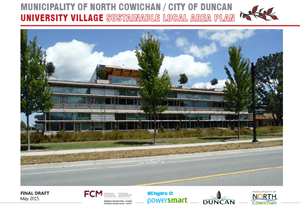 Working closely together, the municipalities of North Cowichan and Duncan have developed an innovative, climate-friendly neighbourhood plan for an area that straddles the municipalities’ common border. The Plan creates a land use framework that prioritizes walking, cycling, and public transit; directs growth in an environmentally sustainable and efficient manner; and utilizes development concepts that contribute to the reduction of GHG emissions and create opportunities for greater energy efficiency and renewable energy adoption. Federation of Canadian Municipalities is inviting all Canadian municipalities leading a way in sustainability to apply for the 2018 Sustainable Communities Awards! Application deadline is Friday, September 15, 2017. This year, the awards program also includes new categories such as asset management and climate change. All winners will have an opportunity to present their projects at the 2018 Sustainable Communities Conference in Ottawa! New FCM initiative—Municipalities for Climate Innovation Program (MCIP)—supports municipalities in dealing with the impacts of climate change by providing funding, training and resources. Climate change capital project grants of up to $1 million and other grants are available through this program. The initiative also connects municipalities with regional advisors and offers on-the-ground support to help municipalities in their efforts to reduce emissions. The initiative is delivered through the FCM’s Partners for Climate Protection (PCP) Milestone program, which is open to all Canadian cities and communities free of charge. The team at the Community Energy Association are now recognized climate advisors for the BC and Yukon area. 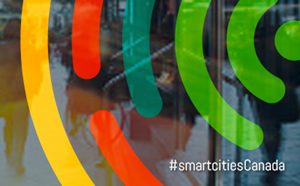 Municipalities, regional governments, and Indigenous communities will soon have an opportunity to work with the Federal government to improve livability in Canadian cities through the Smart Cities Challenge. Participants are invited to bring their best ideas forward, and get a chance to win a prize in the range of $5 - $50 million, depending on the community size! Stay tuned for more details and the announcement of the first round, set to launch in Fall 2017. FRAMEWORK: The 100% RE Building Blocks is for local, regional, or sub-national governments looking for an energy transition blueprint. 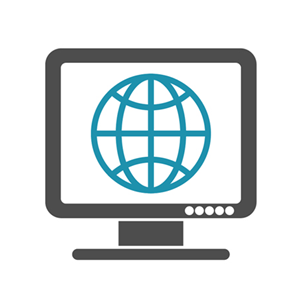 VIDEO: District Energy Business Models and Financial Structuring webinar hosted by United Nations Environment Program and ICLEI International. WHITE PAPER: Motivating Communities to Retrofit Their Homes: The Potential of Thermal Imaging in BC, published by PICS. 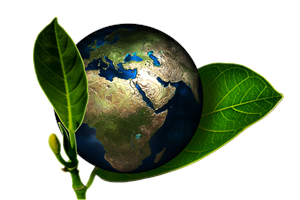 DATABASE: Climate Change Laws of the World database covers national-level climate change legislation & policies in 164 countries and climate & climate-related laws, which reflects the relevance of climate policy in areas including energy, transport, land use, climate resilience. STRATEGY: Build Smart Canada’s Buildings Strategy: A Key Driver of the Pan-Canadian Framework on Clean Growth and Climate Change 2017. 2017 UBCM Convention – Roots to Results: The Union of British Columbia Municipalities, Sept 25-29, 2017 in Vancouver, BC. Livable Cities Forum – Advancing Low Carbon Resilience, Sept 18-20, 2017 in Victoria, BC. Hosting a diverse group of speakers on climate change action in Canada. Deepening Climate Leadership: Lessons From the Front, Nov. 1-3, 2017 in Richmond, BC. Climate action training for elected officials with leading professionals and inspirational colleagues from the BC Municipal Climate Leadership Council. Building SustinABLE Communities Conference​, Nov 21-24, 2017 in Kelowna, BC. Hosted by the Fresh Outlook Foundation, the conference will explore emerging trends in sustainability at the individual, organizational, and community scales. Federal Budget 2017 – The Government of Canada has included measures in the 2017 budget to support building early-stage innovation. ecoCity Footprint Tool Pilot – BCIT is currently piloting an ecological and carbon footprint tool with Victoria, Vancouver, N. Vancouver and Saanich. The Tool uses community data and aligns with the traditional spheres of planning at the municipal level. Generation Energy: Moving Canada Forward – The Government of Canada is looking for input on the future of energy in Canada. Share your thoughts.